Georg Tappert, Wilhelm Wagner, and others. One of the most important figures in the development of abstract art, Malevich experimented with various avant-garde movements in the years immediately preceding the Russian Revolution including Larionov's Jack of Diamonds group and carious forms of Cubism. By 1913, however, he was involved with Suprematism and the effort to radically simplify the painted surface into geometric forms, culminating in his white-on-white paintings of 1918. After this, he returned to more figurativee work through his Constructivist paintings and drawings. According to the Oxford History of Twentieth-Century Art, he was, along with Mondrian, "the most important pioneer of geometric abstract art. Amsterdam. Stedelijk Museum Malevich (1970: Catalogue Raisonne of Malevich exhibit in Berlin 1927); Stephanie Barron & Maurice Tuchman, Avant-Garde in Russia 1910-1930: New Perspectives (Los Angeles: LACMA/MIT, 1980); Elena Basner, et al. Kazimir Malevich in State Russian Museums (St. Petersburg: State Russian Museum in association with Palace Editions, 2000); Rainer Crone and David Moos, Kazimir Malevich: the Climax of Disclosure (Chicago: University of Chicago Press, 1991); Jeanne D'Andrea, ed. Kazimir Malevich 1878-1935 (Armand Hammer Museum of Art & Cultural Center, 1990); Serge Fauchereau, Malevich (Barcelona: Ediciones Poligrafa, 1992); Donald Karshan, Malevich: The Graphic Work1913-1930 (Jerusalem: The Israel Museum, 1975); Kasimir Malevich 1878-1935 (Leningrad, Moskou, Amsterdam, 1988-89); Paris. Centre Georges Pompidou Malevich (1978); Eugeniya Petrova, ed. 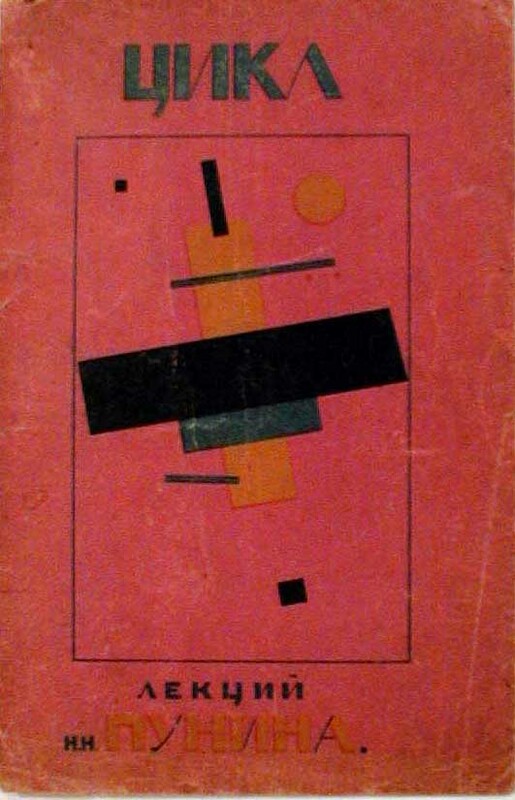 Malevich : artist and theoretician (Paris: Flammarion, 1991); Washington. National Gallery of Art, Kazimir Malevich, 1878-1935 (1990); Larissa A. Zhadova, Malevich, Suprematism and Revolution in Russian Art (London: Thames and Hudson, 1982). 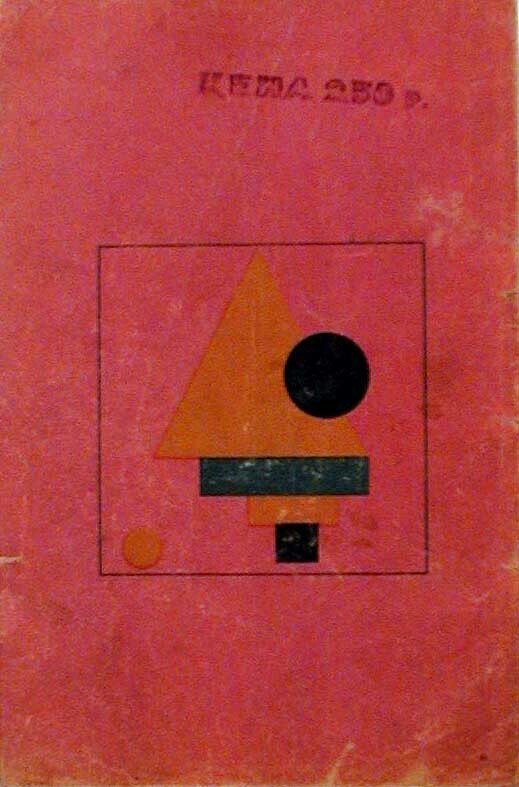 Lectures of N. Punin (Rear cover) (Stedelijk, 191). Original color lithograph, 1920. Edition: printed for the rear cover of Punin, a revolutionary treatise on art. Another impression of this image was reprinted in Kasimir Malevich 1878-1935 (Leningrad, Moskou, Amsterdam, 1988-89; our impression is in better shape than the one shown in the Stedlijk Museum, Amsterdam). An extremely rare work. Image size: 213x188mm. Price: SOLD.